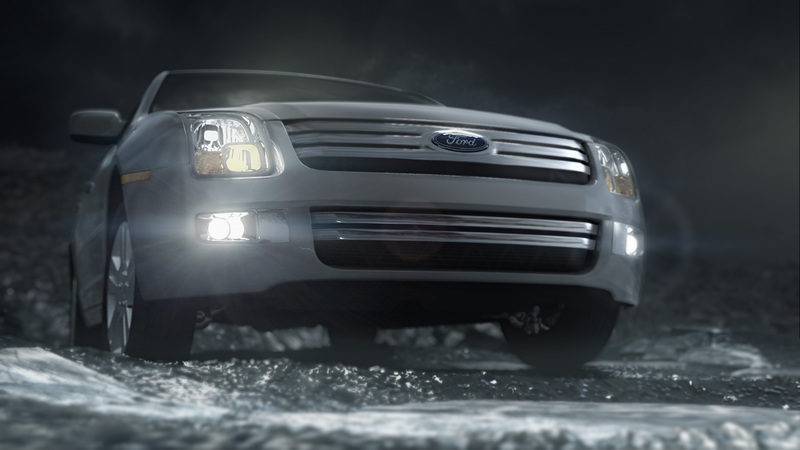 Ford “Ice” is the latest spot to come out of Hatch Studios Ltd. featuring computer generated vehicles, environments and VFX shots produced in full 1080P HD. The spot features a Fusion making an epic journey across two continents and freezing its surrounding environment in doing so. 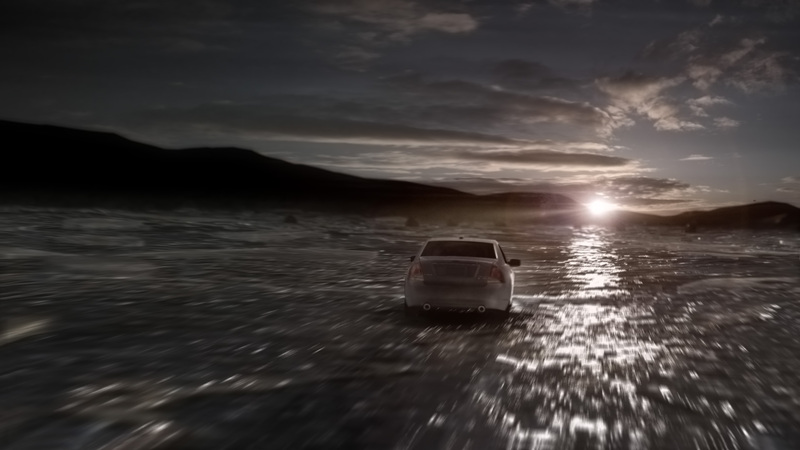 This is synonymous with Ford’s tagline: “Create a reaction.” When it crosses the ocean we showcase beautiful frozen environments through which the car determinately travels until it reaches the other side. At this point, we are greeted with an unexpected surprise bringing the commercial to a dramatic finale. Ford “Ice” was extremely challenging to execute in numerous aspects. First and foremost, rendering in 1080P HD with true 3D motion blur, raytraced reflections & refractions, as well as global illumination features produced almost-prohibitive rendertimes. It was not uncommon to have frames require between 4-12 hours to complete. Since each shot was rendered in numerous layers, the rendertimes were even greater in most cases. Working in HD is another technical barrier due to file sizes. In order to preserve as much quality as possible, 16 bits/channel TIFF files were used which amounted to approximately 12 MB / frame. This required an enormous amount of drive space to accommodate all the data, and this isn’t including the rendered scenes. Composites which would have taken minutes in SD shot up to hours due to HD. In addition, this was the first project I’ve worked on that was shot with the Red camera. This camera delivers full 1080P footage with exceptional quality and is 100% digital. Because the camera was so new (only 8 weeks old at the time), very few people knew how to use it. This resulted in on-going camera crashes throughout the shoot days and constant headaches as everyone adjusted to a new method of working using its proprietary REDCODE files. The glass, tree and dandelion freezing effects were quite complex to create. Each effect actually contains hundreds of thousands of particles growing in very much the same way ice forms. In order to do this, we had to use brand new software that would allow for particle-generated geometry. Although virtually every shot contains CG effects of some sort, the most important ones have been broken down in the “Image and More” section. Feel free to take a look for more in-depth explanations. This spot was created using 3dsmax 9.0, After Effects 6.5, VRay 1.5 RC3 and Photoshop 9.0. It was onlined on an Inferno.